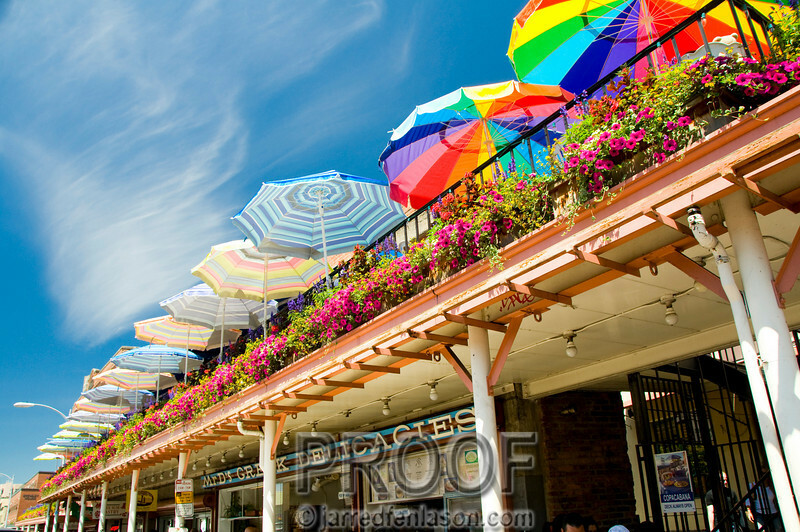 "Rainbow of Umbrellas - Pikes Place Market in Seattle"
Strolling along Pikes Street in Seattle on a sunny warm afternoon I noticed the colorful umbrellas from outside this second floor cafe. The umbrellas contrasted the sky seeming to create a rainbow appearance. I used a wide angle lens to frame this shot.